Warning: Here there be spoilers. If you are new to the joys of the Whedonverse, be aware that this article might spoil some plotlines for you. Specifically, the finales of seasons two and five of Buffy and the finale of season three of Angel. You have been warned. After two seasons of success with Buffy Between the Lines, why shift towards the fine (and in some cases, not so fine) folk of Los Angeles? 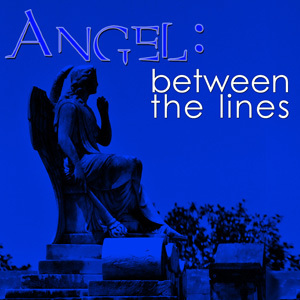 It all returns to Between the Lines Studios’ central purpose – to answer the unanswered questions of the Whedonverse. BBtL covered lots of these plot points, from the large to the small. Each season of BBtL covered an especially important question: the first season answered how the Scoobies dealt with Buffy’s death at the end of the series’ fifth season and what led them to the decision to resurrect her at the beginning of the sixth. The second season also dealt with Buffy’s absence, this time her time “on the lam” between the series’ seasons two and three – both for Buffy in Los Angeles and the Scoobies back in Sunnydale. With the official “season eight” comics, the major plot holes seemed to be settled for Buffy and the Scoobies – but what of our friends at Angel Investigations (and of our antagonists at Wolfram & Hart)? 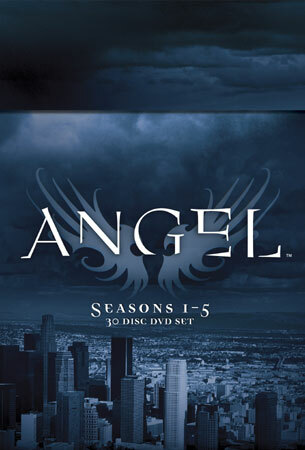 Season three of Angel ends with a shocking series of cliffhangers – including betrayals and the (unrelated) disappearances of both Angel and Cordelia. While a significant plot of Angel’s fourth season is the search for Cordy, strangely almost no screen time is dedicated to the search for the titular hero of the series. Season three ends with Angel missing, seemingly without trace. Season four opens with an exiled Wesley holding the key to Angel’s rescue. But how did our favorite rogue demon hunter come to find that key? How did the other characters deal with Angel and Cordy’s absence? Now, those are plot holes that needs to be answered – and that’s where Tabz, Kim and the rest of the ABtL crew come in.